The cream counteracts the formation of "crow´s feet" and first fine lines appearing around the eyes. It reduces the signs of passing time and prevents premature aging of the skin. It smooths and moisturises the epidermis. The unique neuropeptide RC diminishes expression lines. Micorcollagen, vitamin C and rutin have anti-aging and smoothing properties while eyebright relieves irritations and signs of fatigue. Plant oils nourish and prevent the unpleasant feeling of tenseness. 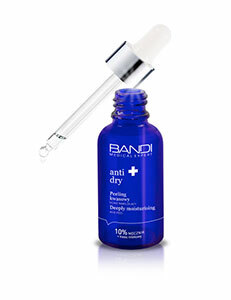 Apply in the morning and evening to the cleansed skin under the eyes. For best results of delayed aging of the skin apply together with products from the line.